Clanfield RC is an Off-Road model car club, located in the Hampshire hillside close to the village of Clanfield. Established in 2005 the track is one of only a handful of dirt tracks in the UK and has an American style layout with extreme jumps and dips. We run 1/8th Nitro & Electric Buggy & Truggys, 1/10th & 1/5th Large Scale classes. 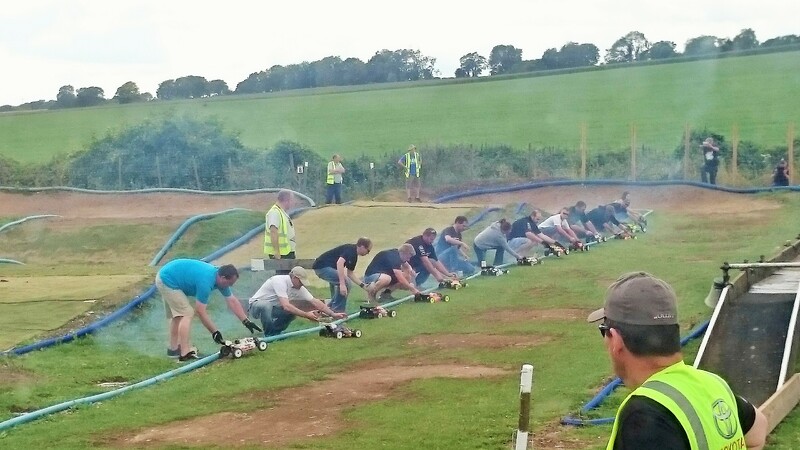 If you have an RC car and want to try it out.....or try your skills on the jumps, then pop down to one of our open practice days and experience the thrills of off-road RC car action for yourself!